Apple has scored an important victory against Samsung: the key claim of its “rubber banding” patent — which was under re-examination as a result of an anonymous request — has been confirmed by the U.S. Patent and Trademark Office. As Florian Müller of Foss Patents points out, the UPSTO has notified Apple that it plans to release a re-examination certificate that confirms four claims of US Patent No. 7,469,381, including a key claim that was successfully asserted against Samsung in the biggest patent trial of the 21st century. Apple has just informed Judge Lucy Koh of the United States District Court for the Northern District of California of a major breakthrough: the United States Patent and Trademark Office (USPTO) has notified Apple of its intent to issue a reexamination certificate confirming four claims of U.S. Patent No. 7,469,381, the famous rubber-banding (or, as I like to call it, “overscroll bounce”) patent, including claim 19, which is the claim Apple successfully asserted at last year’s trial against Samsung. The above patent was under scrutiny since May of last year, when an anonymous request for a partial examination was filed. 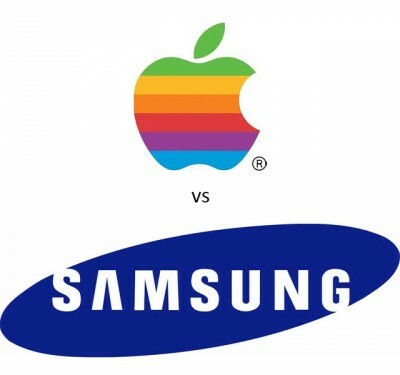 Apple has successfully asserted this patent – among others – in its patent litigation against Samsung, and was granted more than $1 billion in damages. That benefited Samsung, which has attempted to have the patent declared invalid and has tried to delay the trial scheduled for November, since the ‘381 patent was one of the two asserted in the trial and it was under re-examination. With the new certificate soon in Apple’s hands, Samsung’s initial fear of the November trial may become reality.